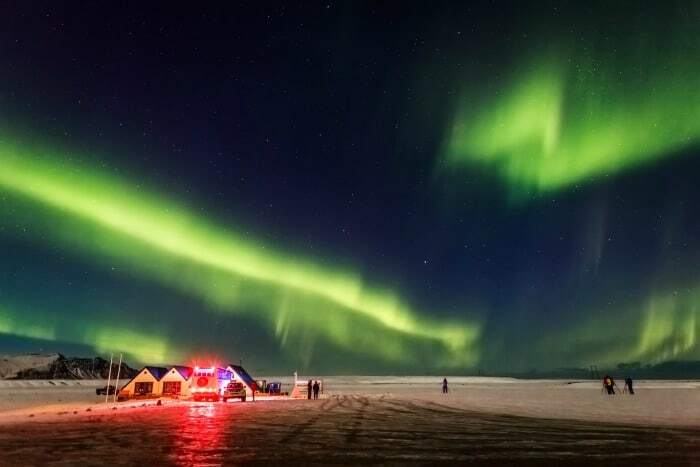 Everyone travels to Iceland in the hope they will catch a glimpse of the natural phenomenon, the Northern Lights or Aurora borealis. I have to admit, I am desperate to see this magical display of colour in the night sky after all the stunning pictures I’ve seen of the event. The Northern Lights are caused by a collision of the gaseous particles found on Earth and charged particles from the sun. The result is a display of green, yellow, pink, violet and sometimes red flashes in the night sky. It would be one of those once in a lifetime kind of events. 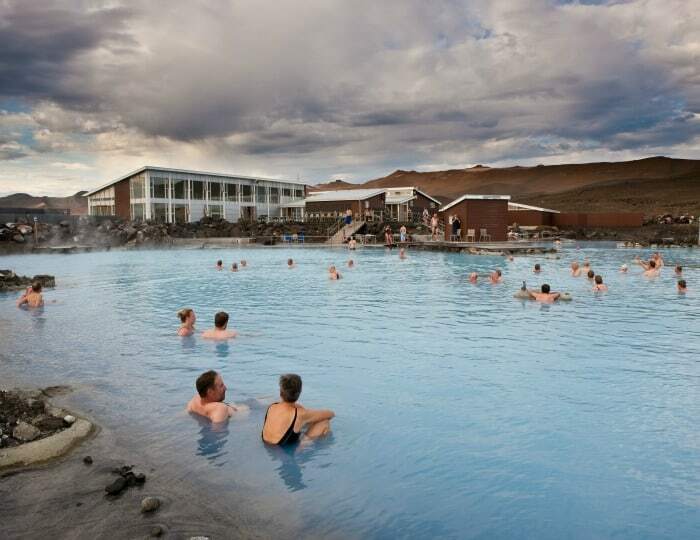 I do enjoy a chance to relax and rejuvenate while I’m on holiday, so I would have to stop by the world famous Blue Lagoon for a dip in it’s warm and revitalising waters. This sounds like the ultimate spa experience. The waters of the Blue Lagoon are reported to hit temperatures of 39c and are bursting with minerals such as sulphur and silica. I would have to include an Iceland road trip in my holiday itinerary that included the stunning landscape of the Golden Circle. When I see nature at it’s very best, it gives me a renewed sense of perspective on the world, and I know a visit to Iceland would be a really grounding experience. It’s a part of the trip I would want to take at my own pace. The Icelandic tectonic plates of North America and Europe meet at the Thingvellir National Park in The Golden Circle. Not only do you get to see this natural phenomenon but you are also able to cross from one plate to another, or one continent to another if you will. That’s one pretty cool life experience to have right there. 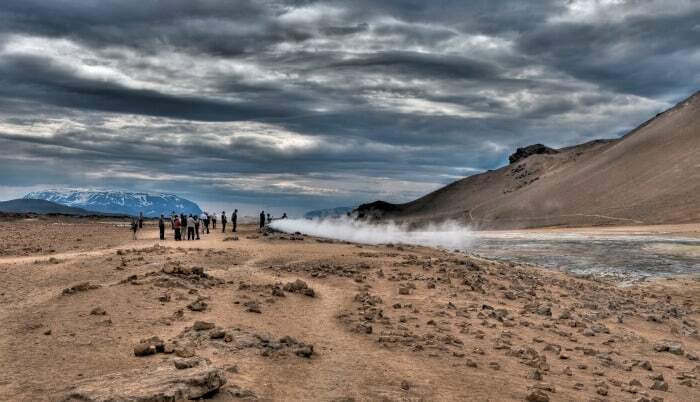 Drive further on and you come into contact with the geysers and hot springs that Iceland is also famous for. I would love to take my time to see one of these erupt, what a beautiful photo that would make. If you lived in a country that physically moved under your feet every 5 years and surrounded you with both natural beauty and risk all at the same time, it’s going to make for a certain kind of person. Icelandic people are resilient in nature and have strong family ties. They have long standing traditions often inspired by their Nordic history. They mark 12th night on the 6th January as their Christmas celebration, and culinary excess is a prominent feature in most of their celebrations. I can see I am going to like it here! 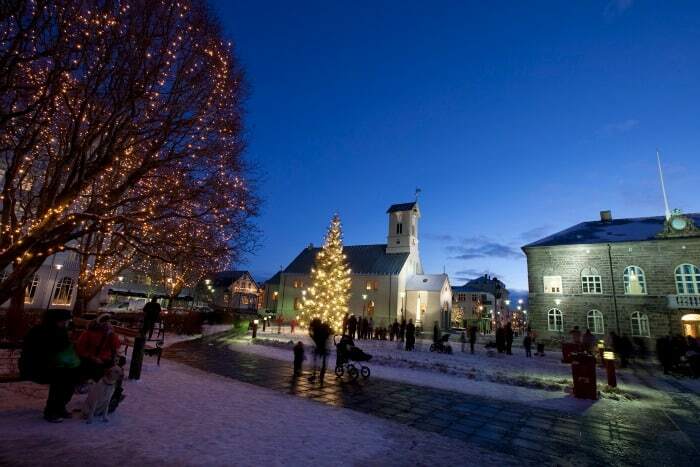 Iceland has a unique climate for an artic destination thanks to the presence of the gulf stream. This lends itself as the perfect landscape for seeing some stunning wildlife during a visit to the country. 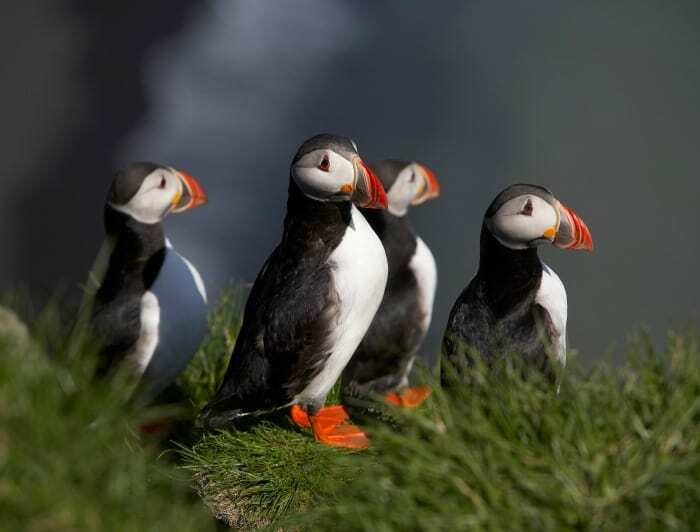 I would be delighted to witness puffins nesting on the sea cliffs around the island and the opportunity to see whales, seals or dolphins in it’s vast waters would be absolutely breath taking. There would be a story there to share with the grandchildren one day I reckon. So what do you think? 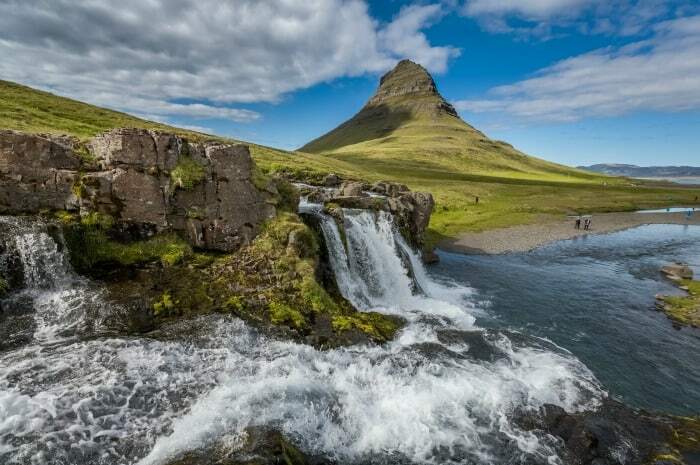 Is Iceland somewhere you’d like to visit too one day? If you’ve been I’d love to know what your thought. Are Your Children Going To Be Safe Online This Christmas? I’m with you on this. I would love to go to Iceland. Especially to see the aurora borealis. The Aurora Borealis is also on my bucket list and that is why I would like to visit Norway. I waan’t aware of the other stuff on your list and now I want to go even more! I’d love to visit Iceland, these pictures look incredible. I’ve heard it’s amazing there. I really want to visit Iceland, it’s on my travel wish list for 2016 or 2017 if I can’t make it next year. I read a few posts from fellow bloggers about Iceland and I want to visit the Blue Lagoon. I am moving to Switzerland soon and there are no non-stop flights to Iceland, so flying for just the weekend get’s tricky. I have always thought of visiting one day, and you have now given me plenty more reasons to plan a trip! Oh i would love to visit i bet its amazing it would be a dream of mine. Iceland has always been a dream destination for me! I would live there if I could! Wow! Never visited Iceland, but now I so want to! THe Blue Lagoon beckons. VaiChin @RamblingThroughParenthood recently posted…I’m an Official Ambassador for Geronimo 2016! My best friend got engaged in Iceland earlier this year and she made it sound amazing. This makes me want to see it for myself even more. I too would love to visit Iceland,I really hope I manage to this year! I so want to go to Iceland. It looks such a beautiful place! I visited Iceland when I worked on the ships Zena, it is an incredible destination. I was very fortunate to experience the Northern Lights and enjoy an afternoon at the Blue Lagoon which I can highly recommend:) I hope you get there one day!